If you’ve ever built a custom home or gone through a kitchen renovation, chances are you’ve heard your designer or architect mention the work triangle. It’s a design concept that has been used for many years in order to create an efficient kitchen layout. But what exactly is it and is it necessary for all kitchens? The kitchen work triangle is a design concept used to create a practical and aesthetic design. The primary tasks in the kitchen involve the fridge, sink, and stove. These are the three points of the triangle. The idea is that these three elements should be close, but not too close, in proximity to each other so that the kitchen has a good flow to work in. How did this concept come to be? 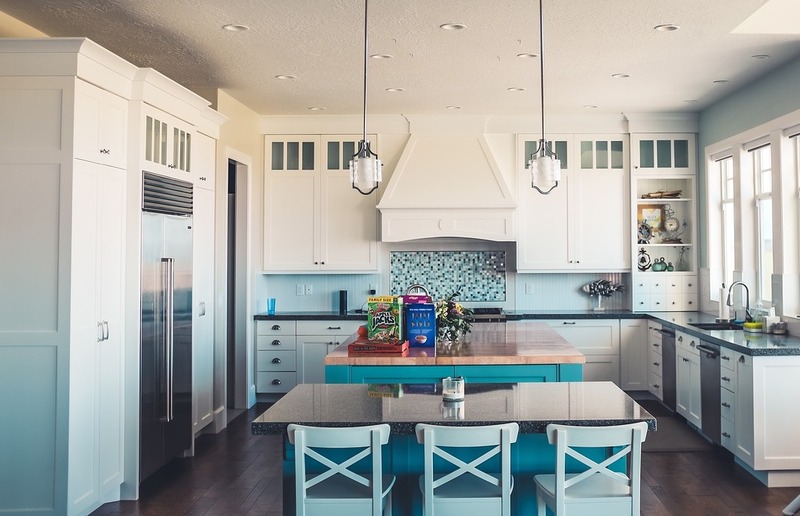 Optimizing kitchen layouts began way back in the 1920s, by industrial psychologist and engineer Lillian Moller Gilbreth. She developed Gilbreth’s Kitchen Practical, which was created based on her research of motion savings. Later in the 1940s, the work triangle was further established into a specific model. This addressed the efficiency of a kitchen between the major workstations: cooking (range), preparation (sink), and storage (fridge). It was designed for maximum efficiency for a one-cook kitchen, which was becoming more popular during this time as the idea of the “housewife” was established. Is the work triangle always required? With all design concepts, they’re more of guidance than a hard rule. 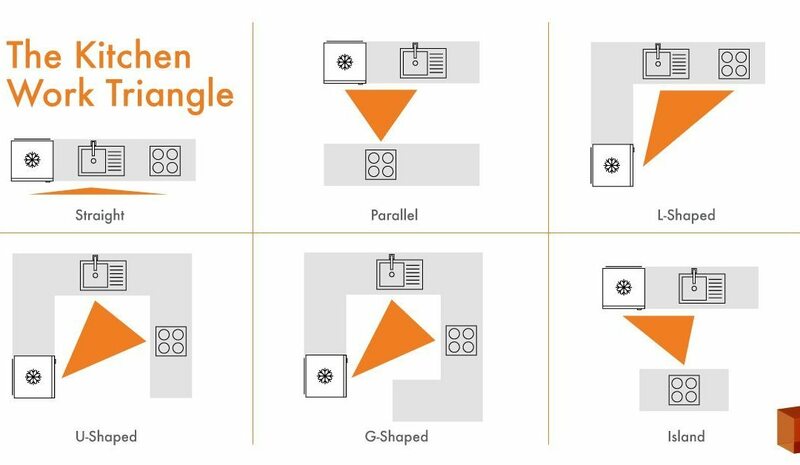 The work triangle is a guiding principle for creating a practical workspace, but it doesn’t fit every kitchen. For example, one wall kitchens do not use this concept but still function. These days the “housewife” is no longer a concept families live by. It’s not uncommon for our custom home clients to be a two-cook household. In these situations, the standard work triangle may not be the most effective design. The kitchen work triangle is one of the founding home design principals, but it should be used for guidance. Not every kitchen design will benefit from this concept, but in general many do. When designing your kitchen, especially if you’re a one-cook family, it’s a good design to keep in mind to help create a practical layout. Feel free to contact us to learn more about architectural design or to begin building your dream custom home.